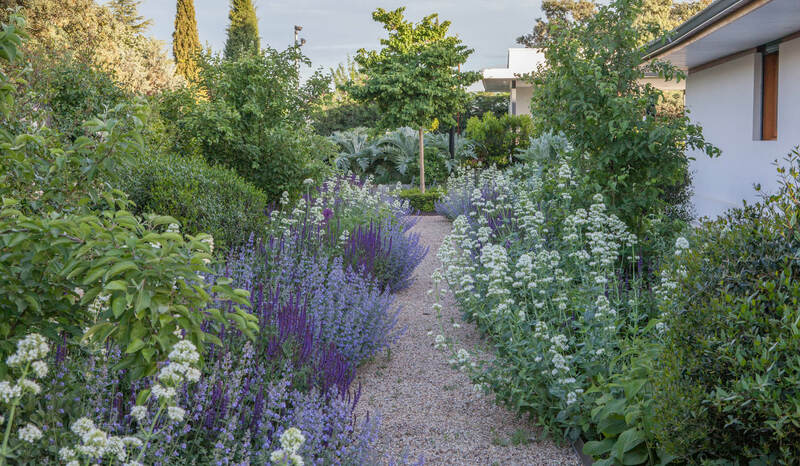 The style of this garden is the fruit of a happy synchrony: the desires of its English owner and the knowledge that Fernando acquired in Yorkshire, come to life in a leafy mixed border, created, of course, using perennials that are adapted to Madrid. 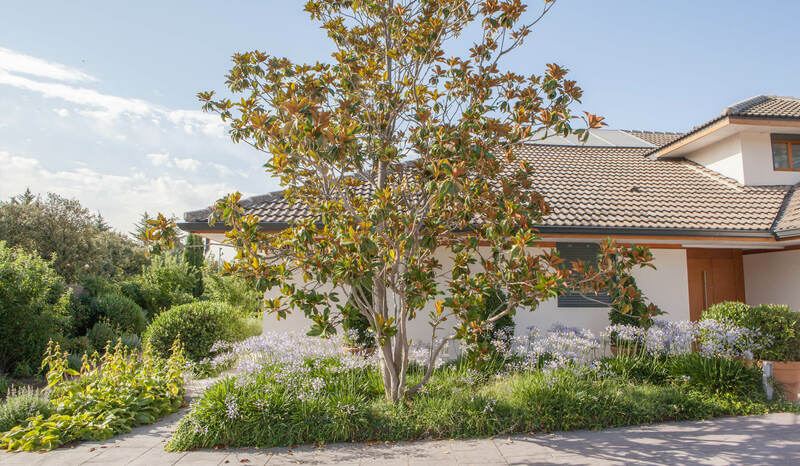 The relaxing colors of the flowers are overlapped between the rounded hedges and large grey leaves of the artichokes that occupy a strip of land next to the house. 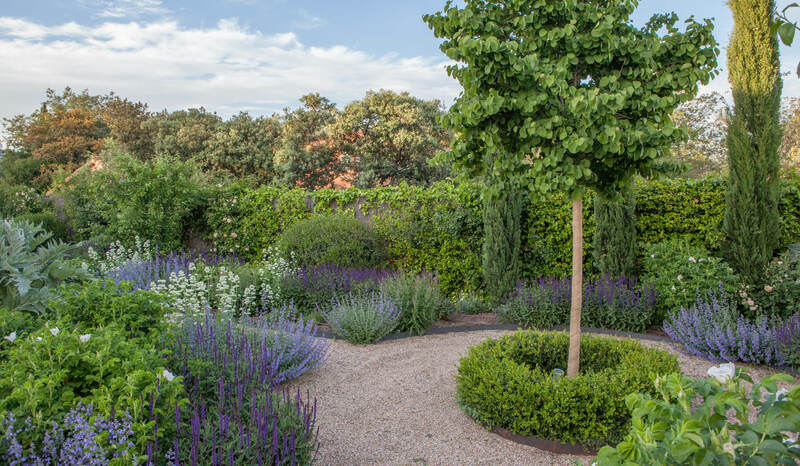 A path runs through this splendid display of vegetation, leading to a circular space with a Judas tree (Cercis siliquastrum) in the center. 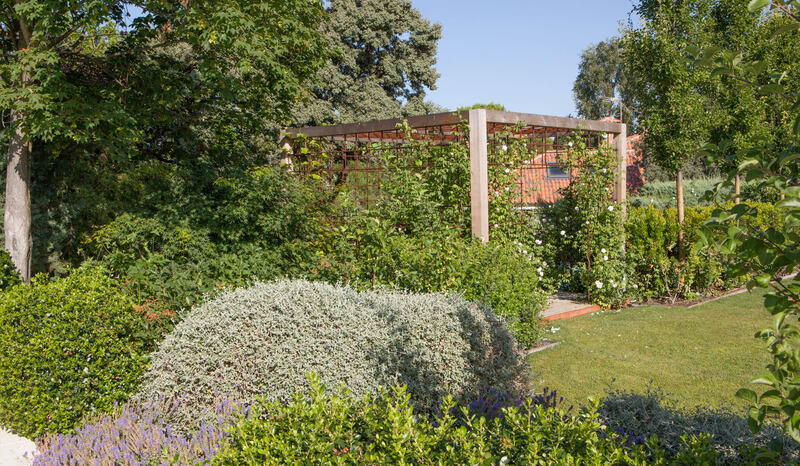 In the back garden, next to a group of different species of hedges trimmed into the shape of a cloud, there is a wood and iron arbor, which is adorned with a spectacular climbing rose. 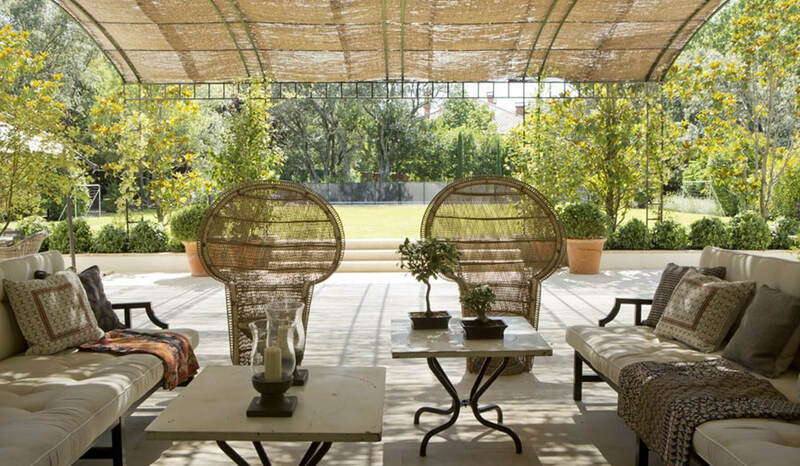 On the other side, a raised, curved pergola provides a shaded area from which to enjoy the beauty of the garden.